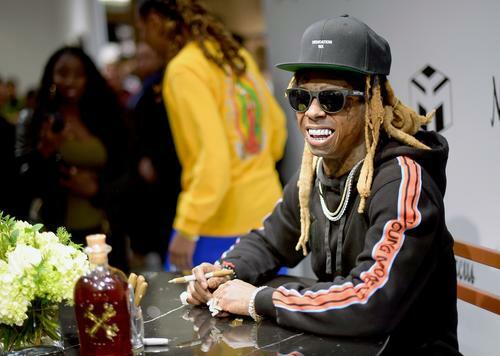 Lil Wayne finally settled his on-going battle with Birdman and Cash Money in June o and it looks like he’s working hard to deliver fans his long-awaited Tha Carter V. Shortly after his lawyer confirmed that he and Cash Money reached a settlement in their case, the rapper revealed that he just had a meeting about the release of his album. At this point, it looks like we might get The Carter V before the end of the year. A few days a go, it was rumored that he shot the cover art for the project and now, it looks like he’s already shooting a new video for it. Vincent Lou film, who’s worked with ILOVEMAKONNEN, 21 Savage, Future and more, hit Instagram earlier today to reveal that he shot a video with Lil Wayne last night. It’s unsure for what song or if it’s actually for Tha Carter V but Weezy’s seen posted up on the edge of a half pipe with overalls and a double cup next to him. Swizz Beatz was also tagged in the photo which means it’s possible the video was for a new song off of Poison. Either way, we’re glad to see Weezy back in action, especially considering the past few years of label drama. Hopefully, Tha Carter V sees the light of day soon.